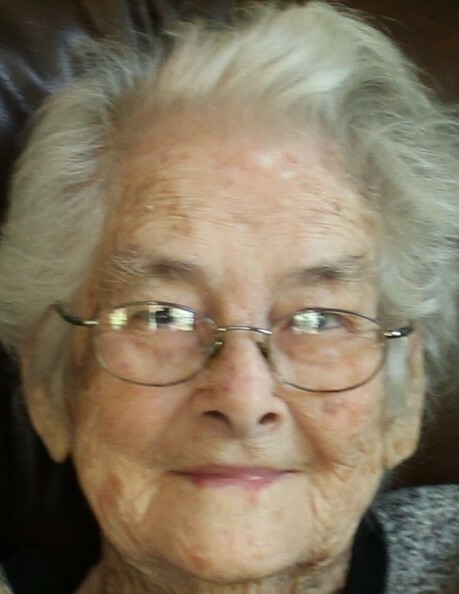 Marzell Lovvorn Howse, 92, of Cullman entered into the arms of our Father on Tuesday, October 2, 2018, surrounded by those she loved. She was born October 27, 1925, to Grady and Lula Bell Mitchell Lovvorn, in Cullman County, Alabama. Mrs. Howse was a homemaker. She loved and cared for her family as a wife, mother, grandmother, and great-grandmother. She will be missed greatly. Marzell is preceded in death by her parents; her husband, Elonzoe Howse; granddaughter, Rusty Howse McGuire; brothers James Lelton Lovvorn, Zertis Lovvorn; and her sister, Olene Stewart. She is survived by her sons, James Michael (Beverley) Howse, Barry Glenn (Jean) Howse; grandchildren, Kacey (Kenny) York, Russell (Gena) Nicoll, Jeremiah (Karlene) Nicoll; and ten great-grandchildren. Funeral services will be Friday, October 5, 2018 at 11 a.m. in the Holly Pond Funeral Home Chapel, Dudley Brock officiating. Burial will follow in New Hope #2 Cemetery. Friends may visit with the family on Thursday, October 4, 2018 in the Holly Pond Funeral Home Chapel, from 6:30 p.m. until 8 p.m.
Holly Pond Funeral Home is honored to serve the Howse family.